As you enter Westford from Tippecanoe Road, you'll find single-family home sites lining Kyleridge Pointe starting in the $60k's. These lovely lots offer views of the golf course, its lakes and Kyle Woods Nature Preserve. Entering from Raccoon Road, Langston Run boasts additional single-family home sites priced from $60k's. They feature views of the golf course and several of its lakes. 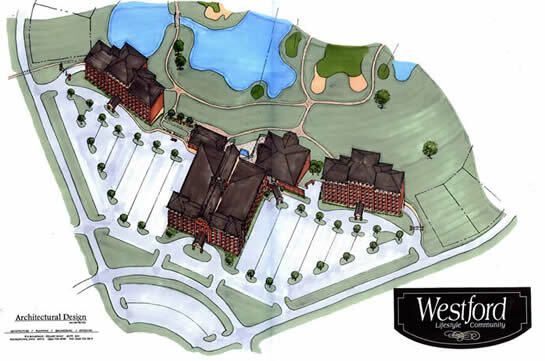 There are over 100 home sites on these two avenues which meet at the center of Westford. To become a part of the Westford Life! Lots are going fast!!! 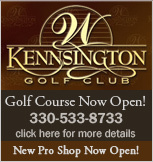 call 330-533-1081 today! Gated condominiums surrounding a beautiful brick clubhouse and pool with 2, 3 and 4 bedroom options. Grand cathedral ceilings and open spacious floor plans are just what buyers request. Condo square footage starts at 1,588 and full basements are available. Plans may expand to 4 bedrooms up to 2,200 square feet. NOW UNDER CONSTRUCTION!! BUILDINGS 4 & 5! RESERVE YOURS TODAY! Bradford Greene - Our premier gated condominium community is over half sold. Now is your opportunity to take advantage of pre-construction pricing. With only Seventy-Eight units it offers a great style of living. These smartly-appointed structures will surround a beautiful brick clubhouse with full kitchen facilities and plenty of room for meetings and entertaining. Amenities include everything you would expect in an upscale community - a gorgeous private pool, monitored security system and more. Choose from 2, 3 and 4 bedroom options, offering grand cathedral ceilings and open, spacious floor plans. Bradford Greene is condominium living at its finest. Sizes start at 1,588 square feet and full basements are available. A gated community nestled in the trees with 39 beautiful lots, most boasting golf course views. These home sites are carefully laid out on 3 cul-de-sacs and will feature a security gate. The minimum square footage requirement is 2,400 for a ranch home and 2,600 square feet for a two story home. This gated community offers only 14 lots on this single cul-de-sac, all of which have golf course views. Minimum square footage for a custom home is 3,600 and lots are priced from $110,000. Enjoy the peace and beauty of living in a golf course community. With only 68 villa lots and half of them sold you ‘d better hurry. The majority of the lots on the 3 cul-de-sacs offer golf course views. All are custom villas with various facades available. Choose from our plans or bring your dream home plans and we will work with you according to your needs and desires for a new villa home. Two high rise buildings will be designed with large condominiums that will feature multi-level living with underground parking and elevators for your convenience. This site provides outstanding views of the golf course and large lakes.